Open late April through late October (weather permitting), Pringle Falls Campground is a beautiful little spot that is perfect for families or small groups looking for a serene experience. 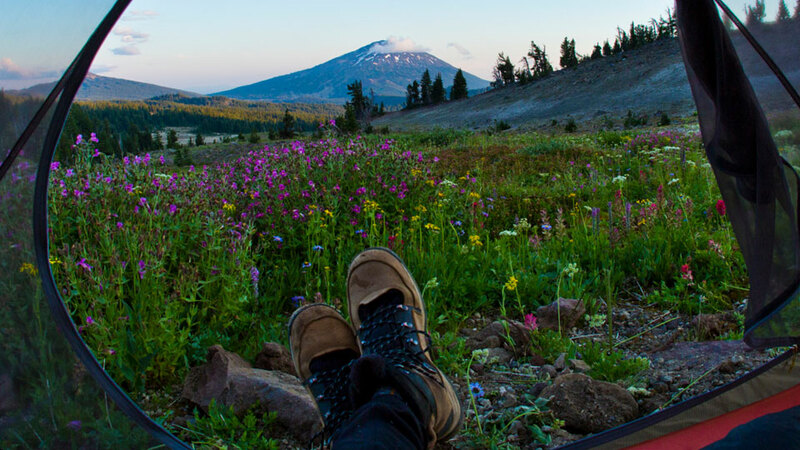 The campground is situated right on the Deschutes River and is just north of a reserved section of woodland that has been set aside as an experimental forest. Relax and watch the river slide by or grab your pole and take a cast or two. Boat fishing (non-motorized only, please) or drift fishing is the best way to catch fish, and brown, rainbow, and brook trout, and whitefish are plentiful. Take care as the water is Class II flatwater up to about six miles below Sunriver, where there are a number of stunning, but dangerous, waterfalls. Pringle Falls Campground maintains seven sites and getting there isn’t hard if you pay attention. Traveling on Forest Service Road 43 you’ll cross a bridge over the Deschutes River and will see a sign that says Pringle Falls. That sign is for the falls themselves, but the turn into the campground is about a quarter mile east of there. Follow the signs and the campground is on a hidden part of the Deschutes River along with a subdivision southwest of Bend. The per night, per site fee is $10 for the first vehicle and $5 for each additional vehicle.